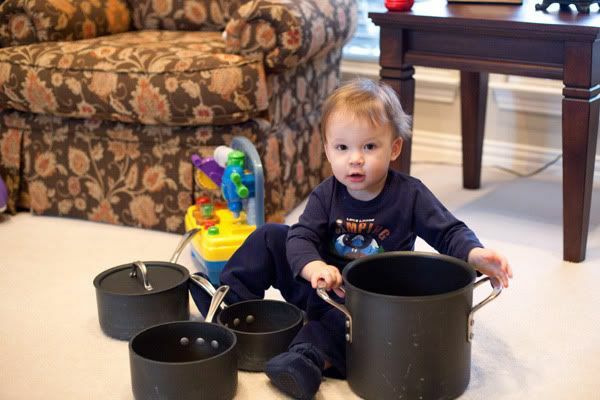 Ethan loves my pots and pans and he takes them out every chance he gets. 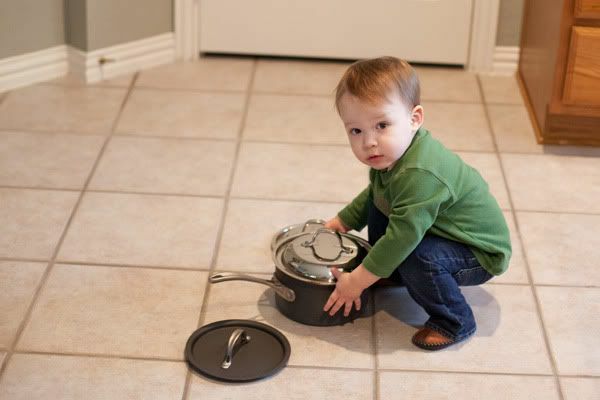 He will take them one by one to another room to play or he will play in the kitchen if I am in there. 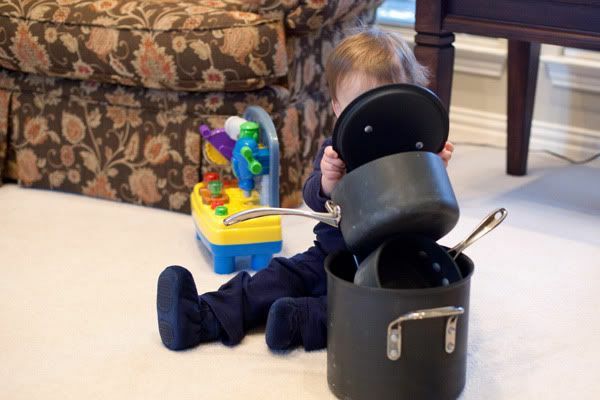 I am surprised at his strength sometimes because he can lift even the largest of my soup pots and carry it around. 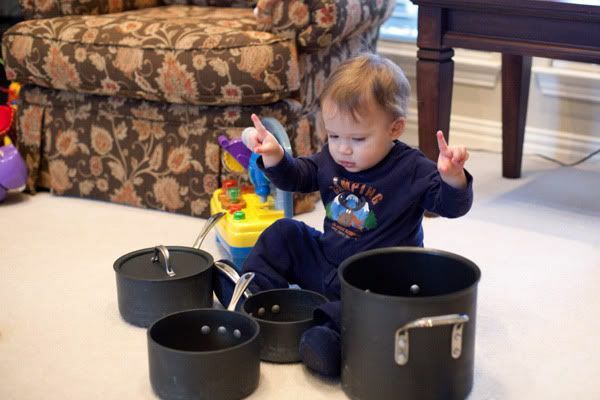 In that third picture I have no idea what he is doing, but it looks to me like he is conducting a cookware symphony.